What do you want to do? We can help. 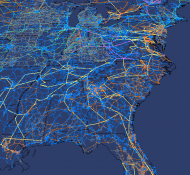 PowerWorld's wide range of products provide the tools needed by transmission planners, power marketers, system operators and trainers, educators, and anyone else desiring access to power system information and analysis in a user-friendly format. 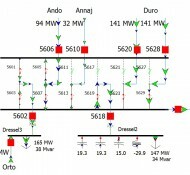 Our interactive power systems simulation package for high voltage power systems operation on a time frame ranging from several minutes to several days. 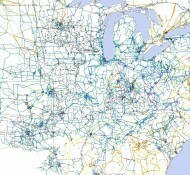 PowerWorld’s system visualization tools combined with real-time data. 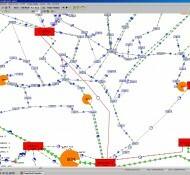 A new flexible multi-user operations training platform. 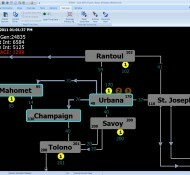 Utilizes the new time-step simulation feature of Simulator on a simplified PowerWorld platform. 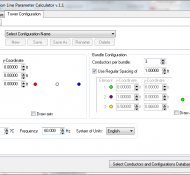 A tool designed to compute characteristic line parameters given the type of conductor and the tower configuration of a three-phase overhead transmission line. A freeware program designed to make it easy to exchange power flow cases. You can view a solved power flow case graphically using animated one-lines.